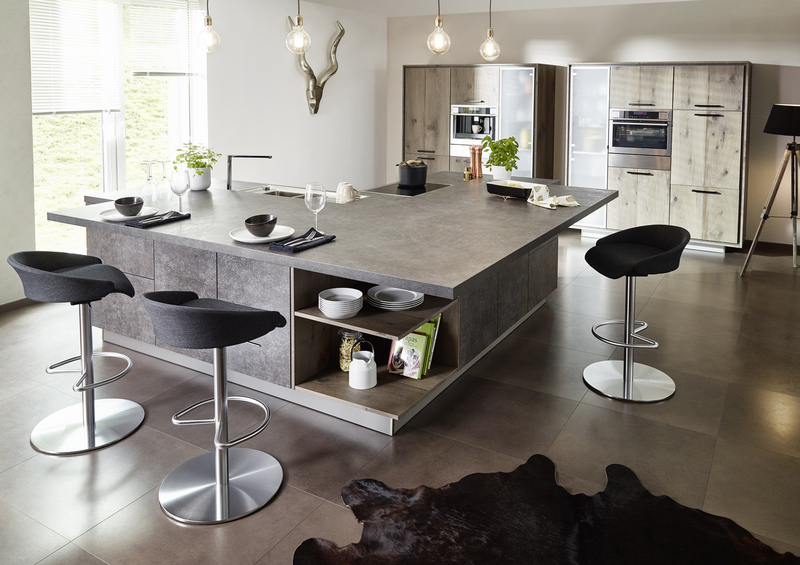 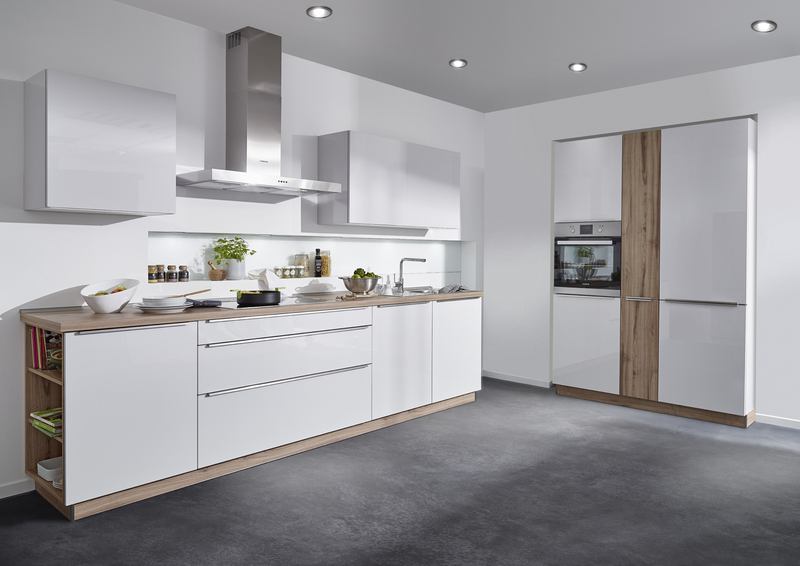 Have a look at our gallery to get a feel for just how many varieties of colours, styles and finishes there are available for you as well as all the extra features which come as standard. 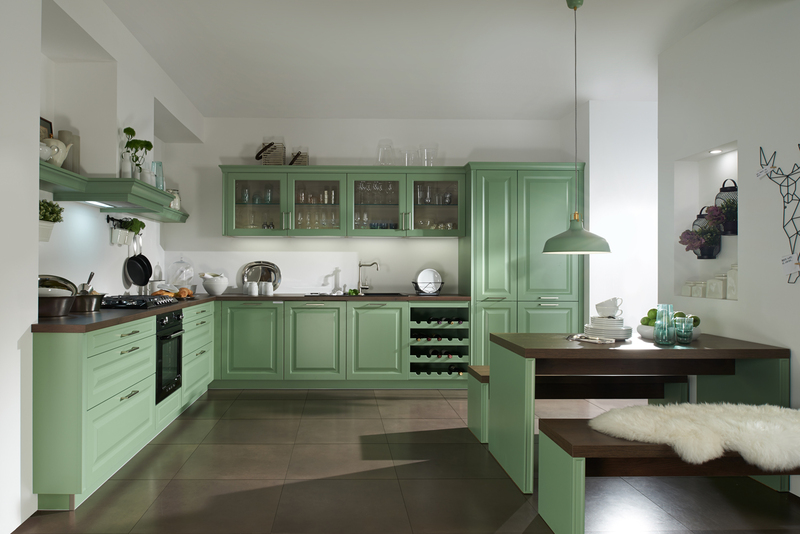 We can customise any design with our diverse colour palette of over 4,000 shades. 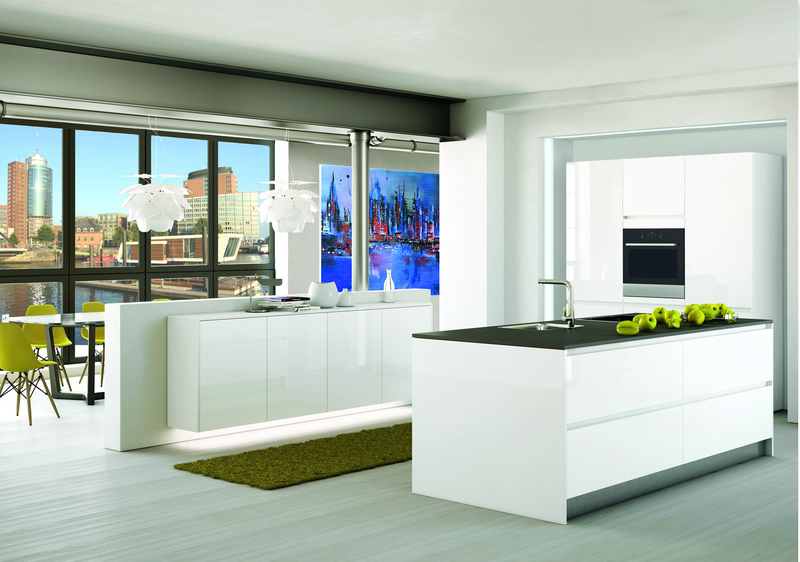 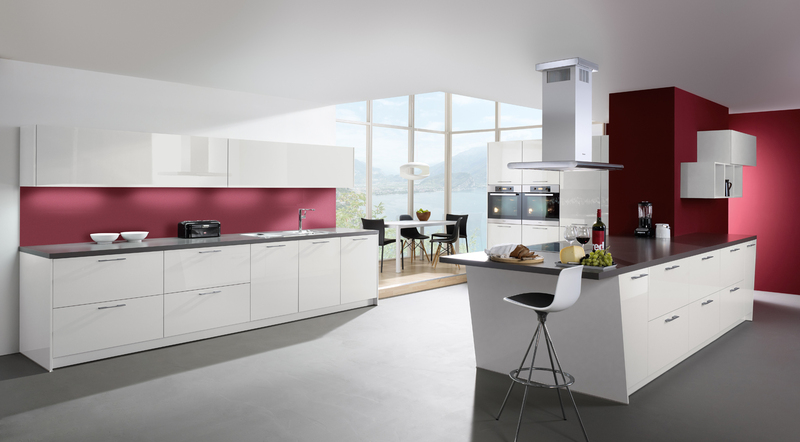 Available from the RAL colour charts, you can select a matt or high gloss finish. 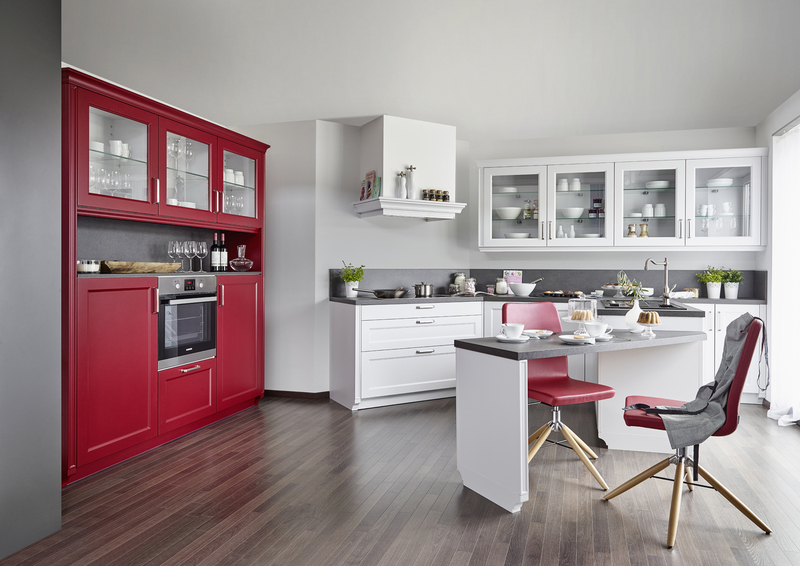 There are plenty of space and flexible storage solutions for organising the larder, bottles, crockery, cutlery and anything else you want hidden away. 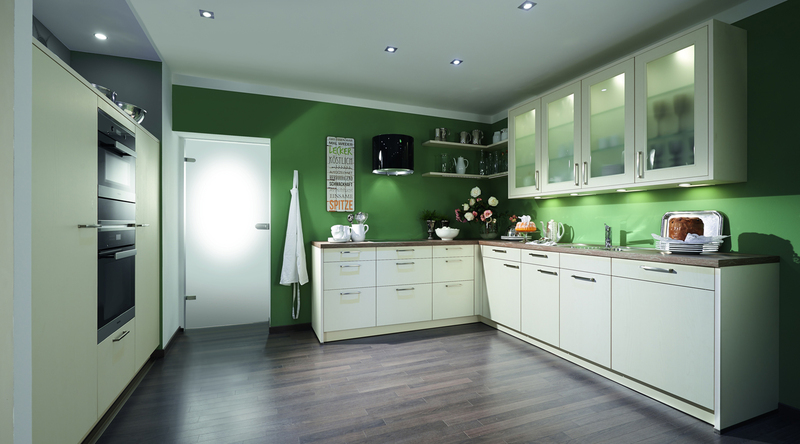 Our handles can be coated in any colour to either match your doors perfectly or create a splash of colour with a contrasting shade. 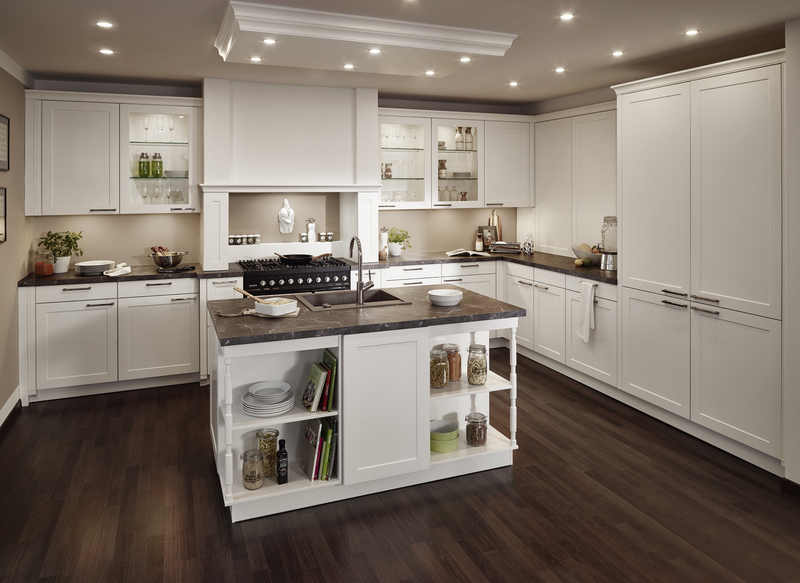 A great way to update your kitchen. 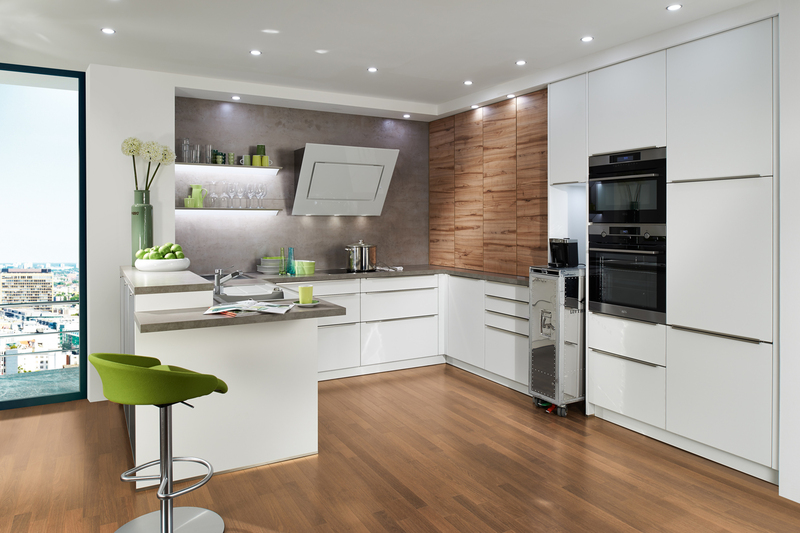 LED-lighting systems can be switched, dimmed, remotely controlled and individually adjusted from cold light to warm light depending on your mood. 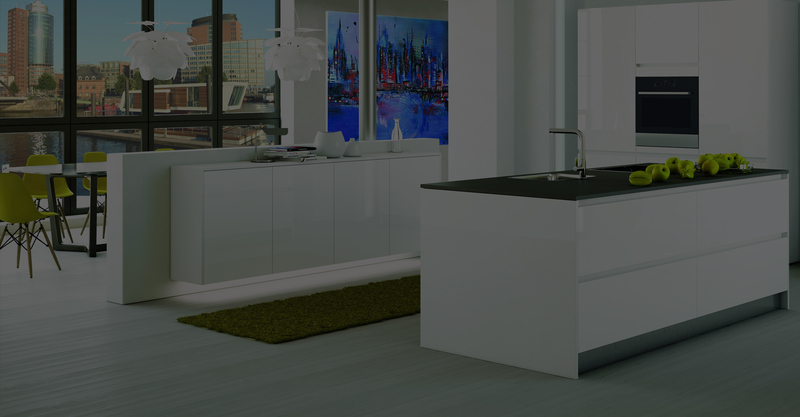 Make your kitchen unique with our 11° units. 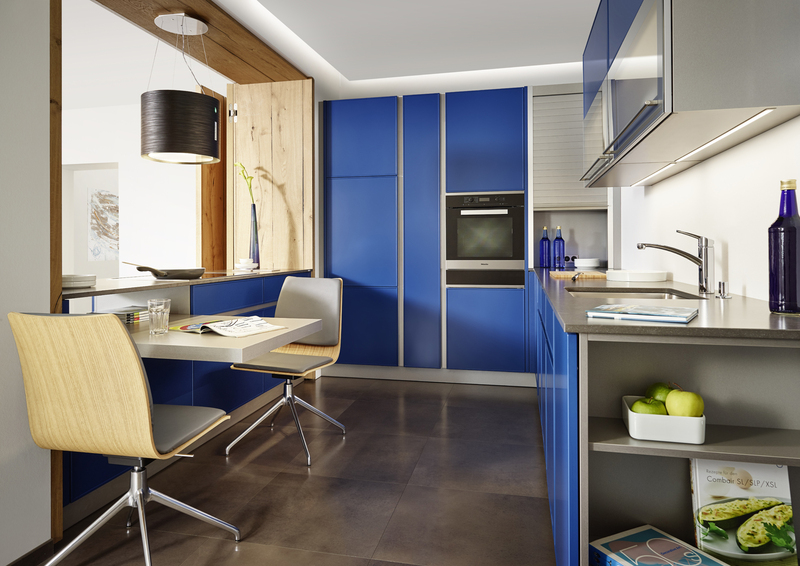 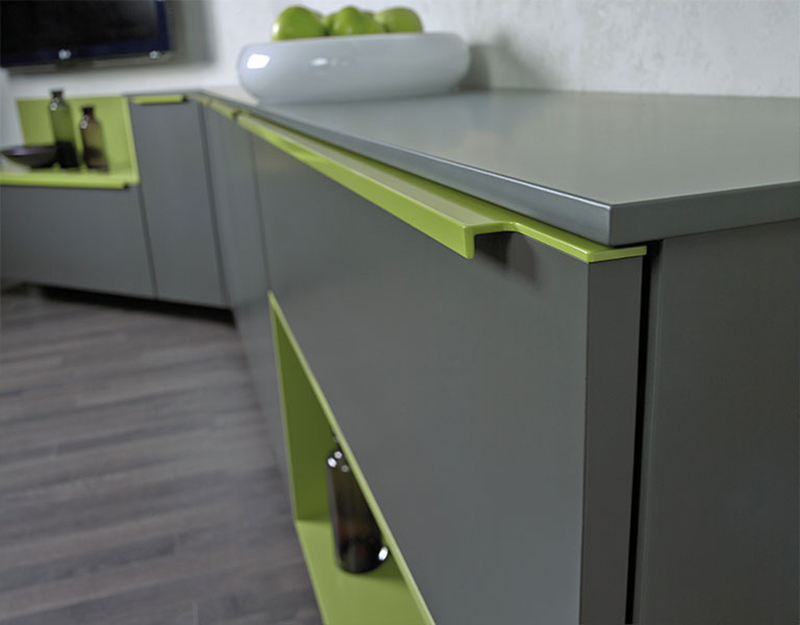 A great way to mix two colours in your kitchen or to create a breakfast bar in small spaces. 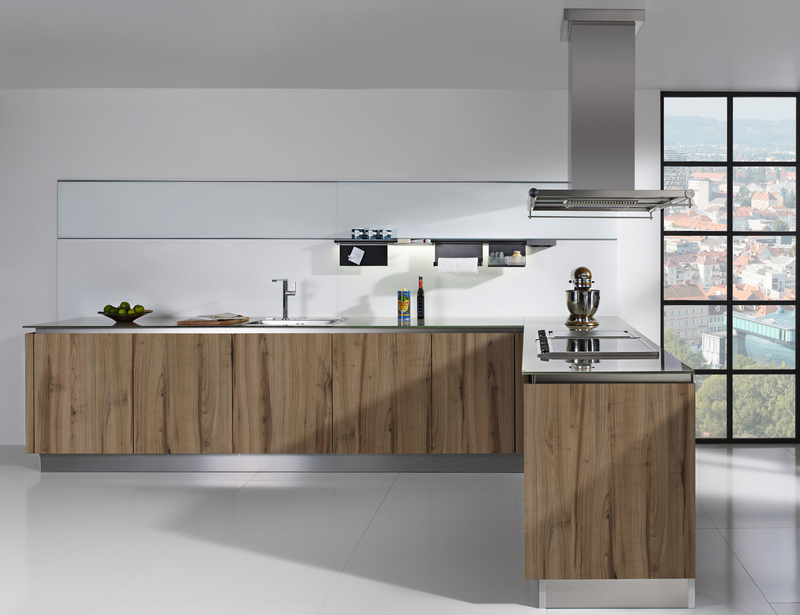 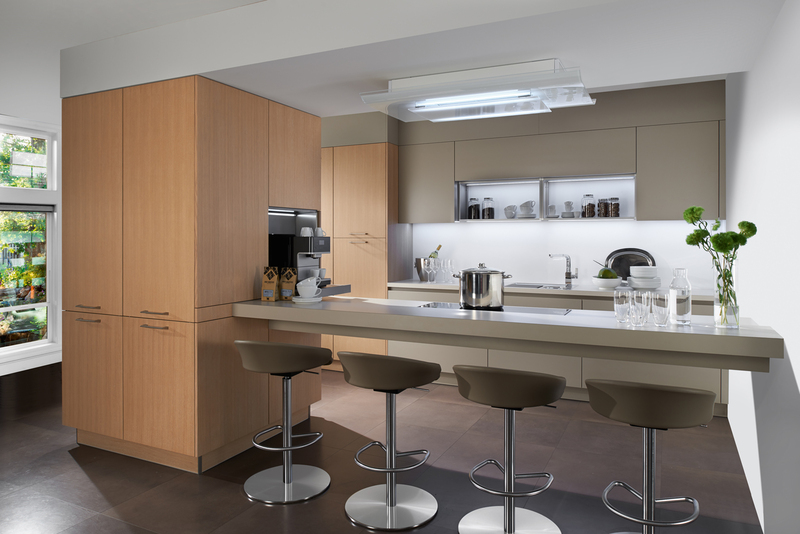 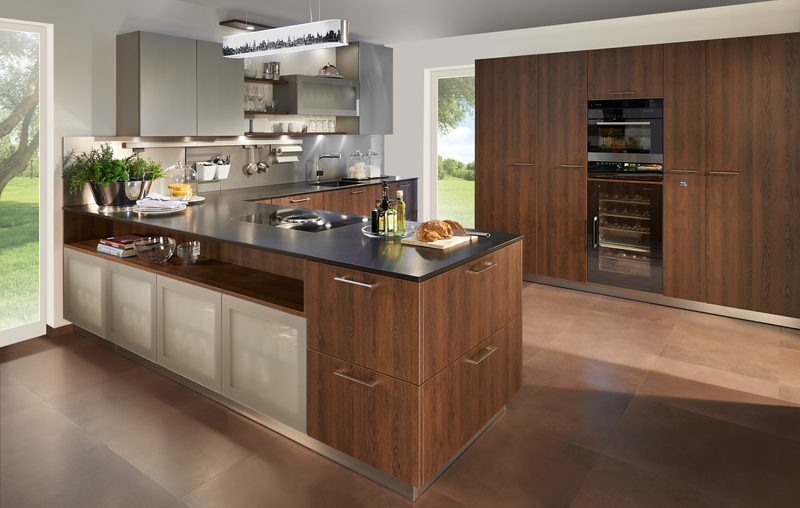 If you love the wood grain cabinets then we offer a perfect book match option. 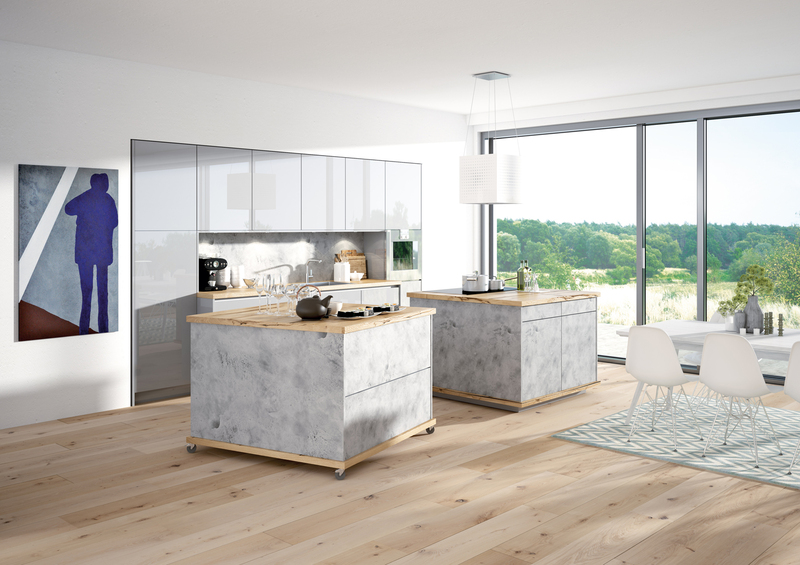 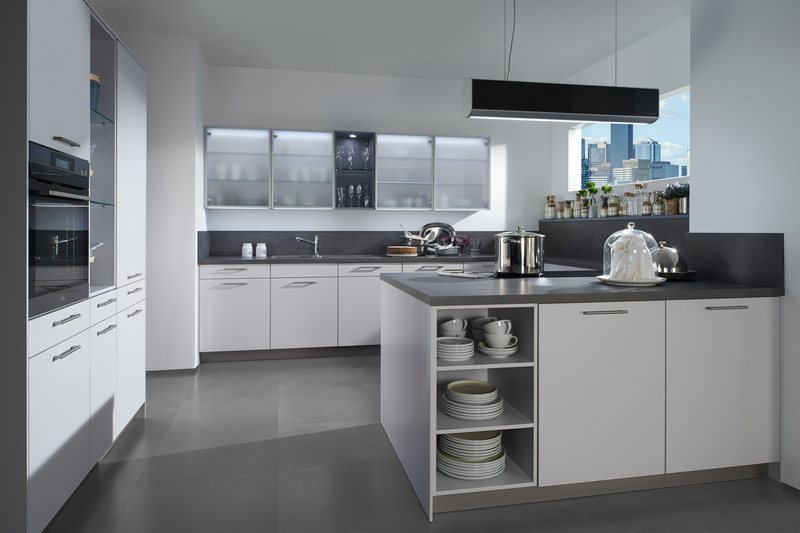 The décor grain is maintained in full height when there are dividing drawers and cupboards and the end result creates a flawless look. 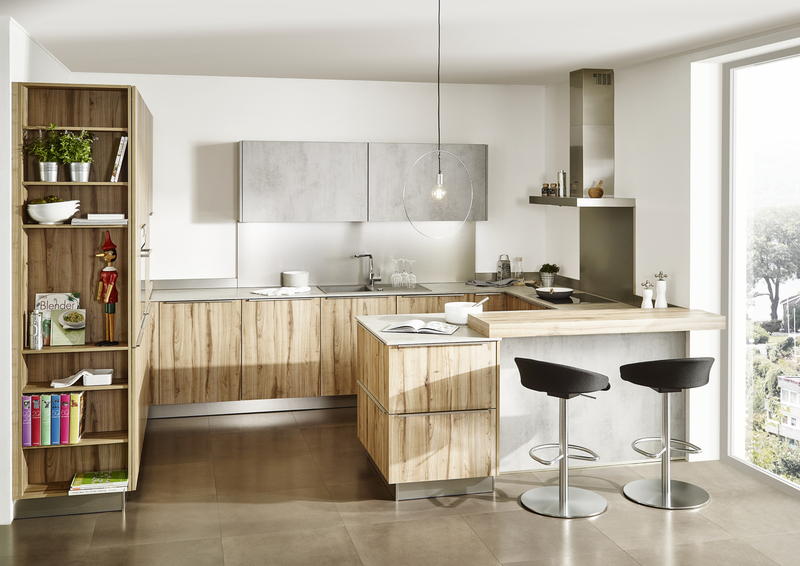 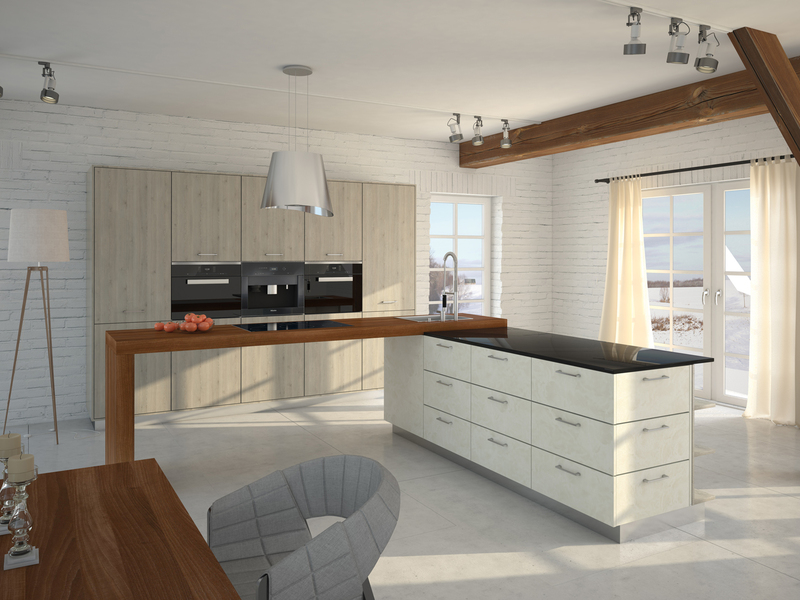 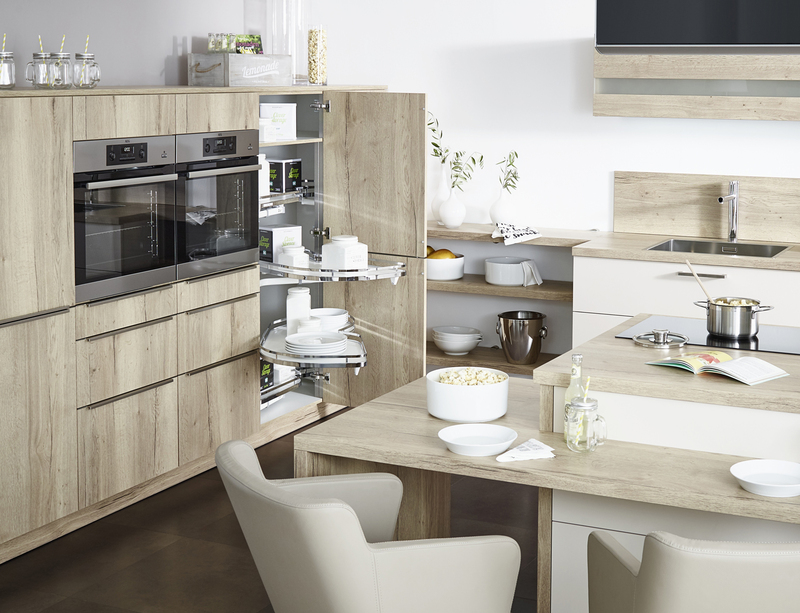 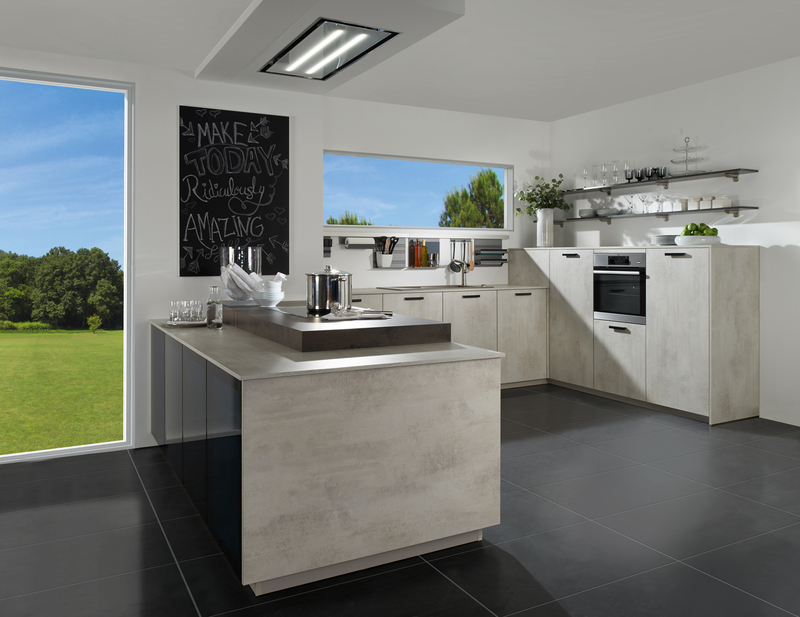 A clever and attractive unit to add to your kitchen. 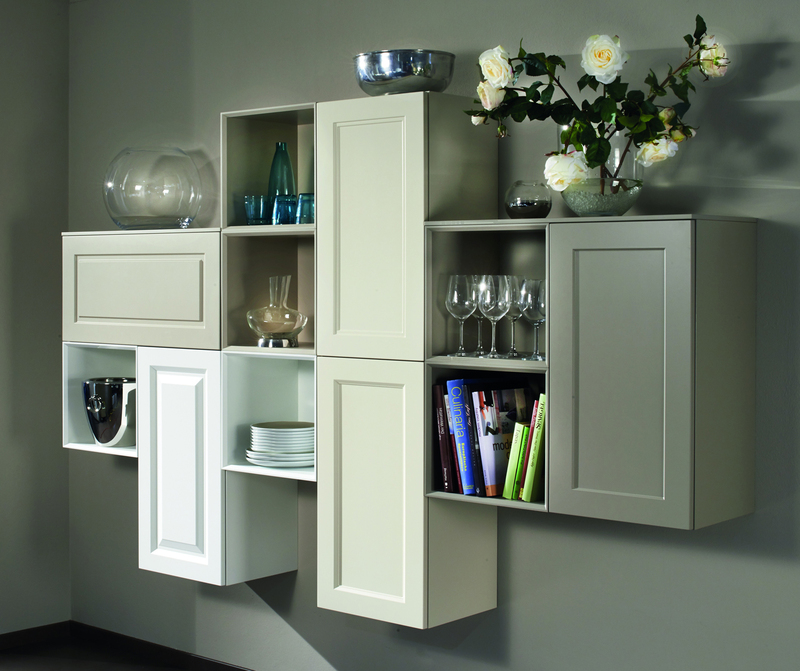 The Multicorner allows for great storage combined with integrated open shelving for displaying anything from cacti to cookbooks. 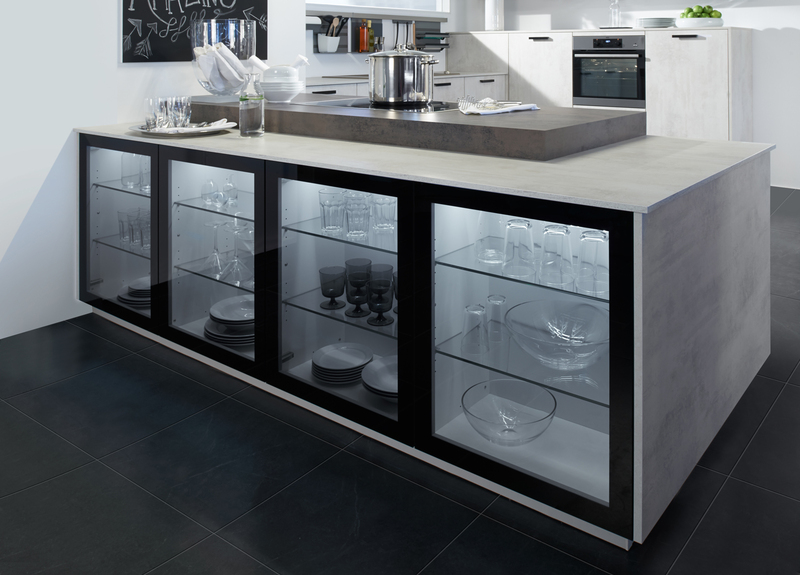 This is an example of stunning design and full of technical sophistication, you can easily access all your utensils in our unique corner cabinets. 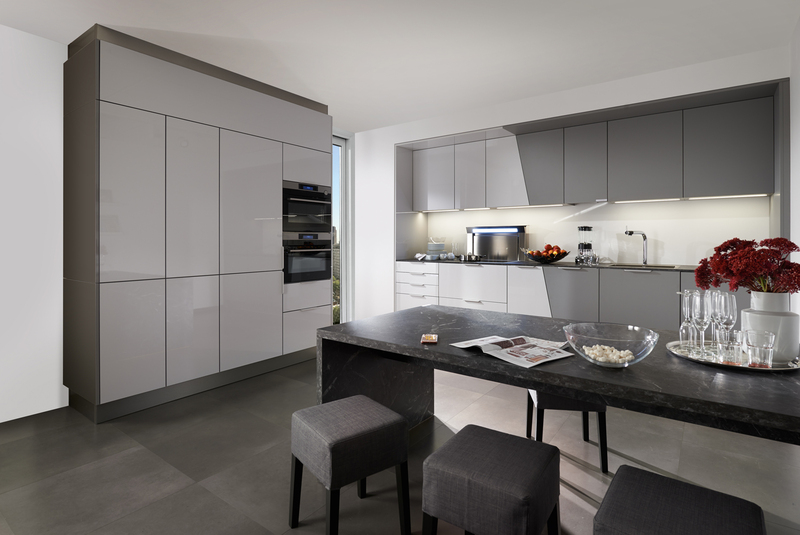 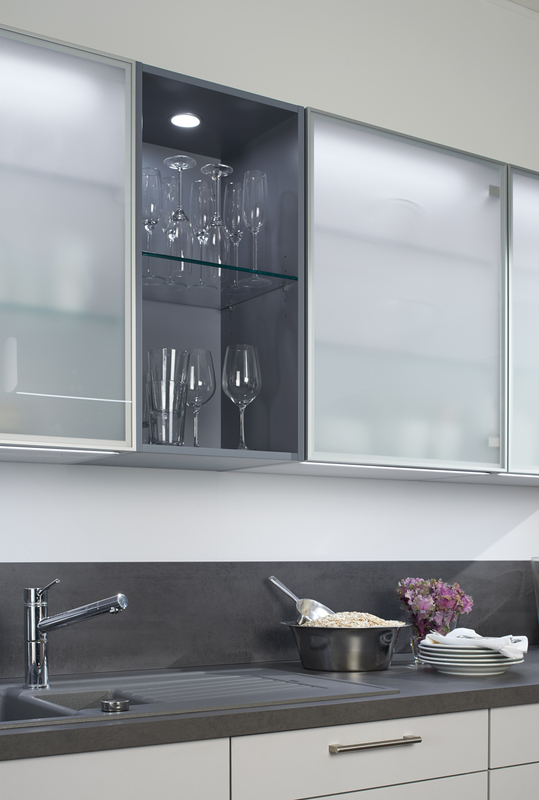 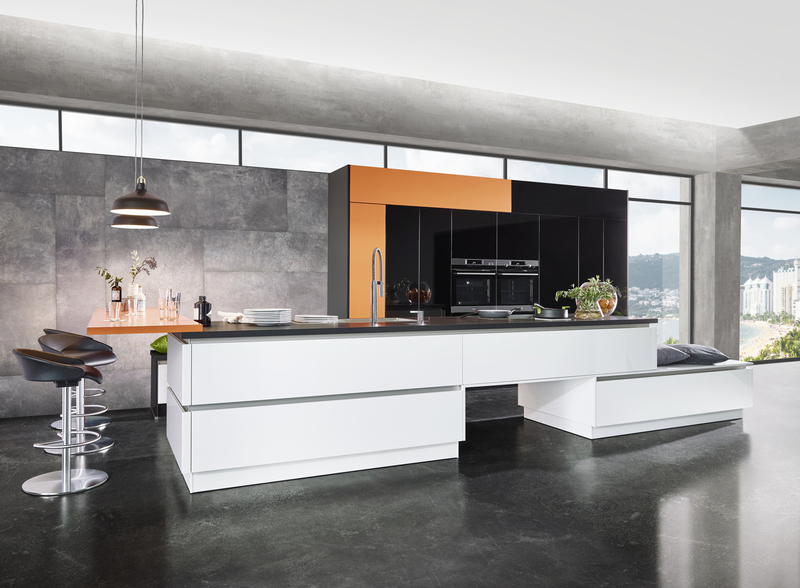 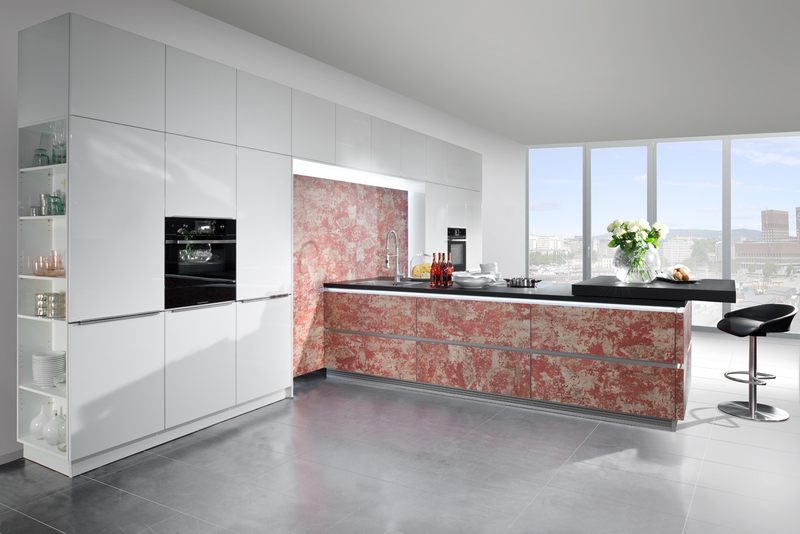 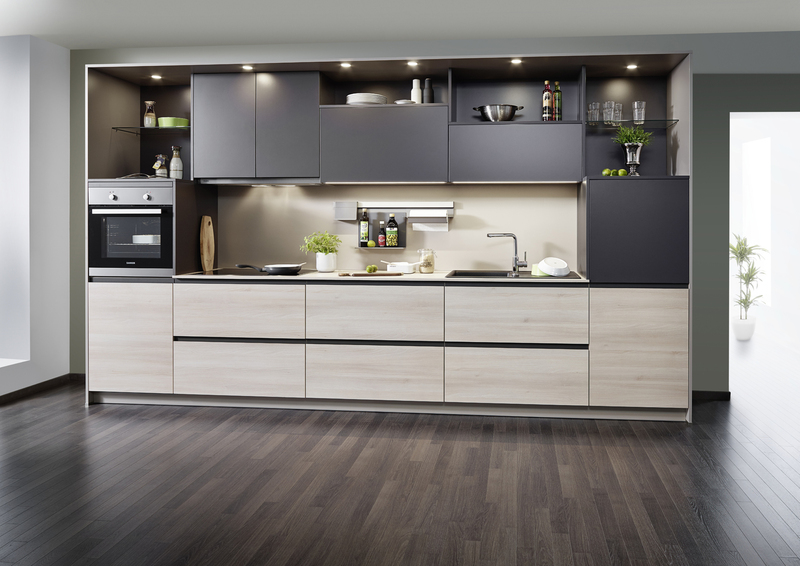 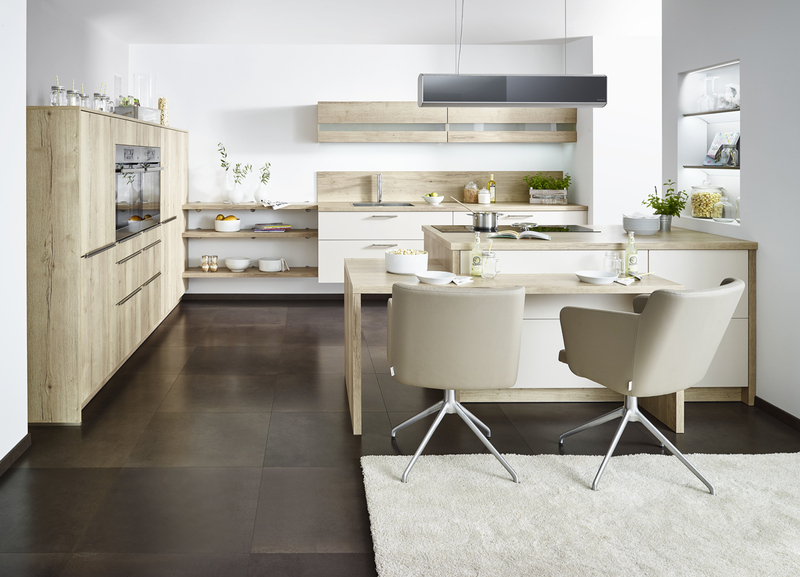 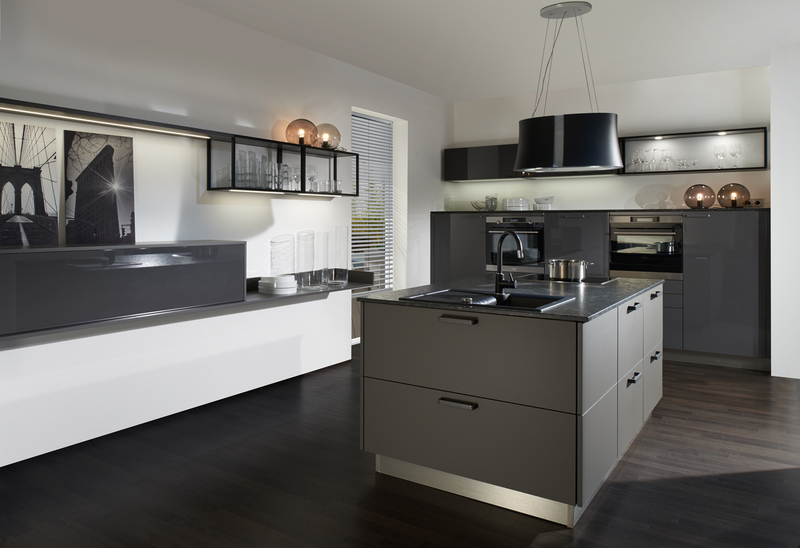 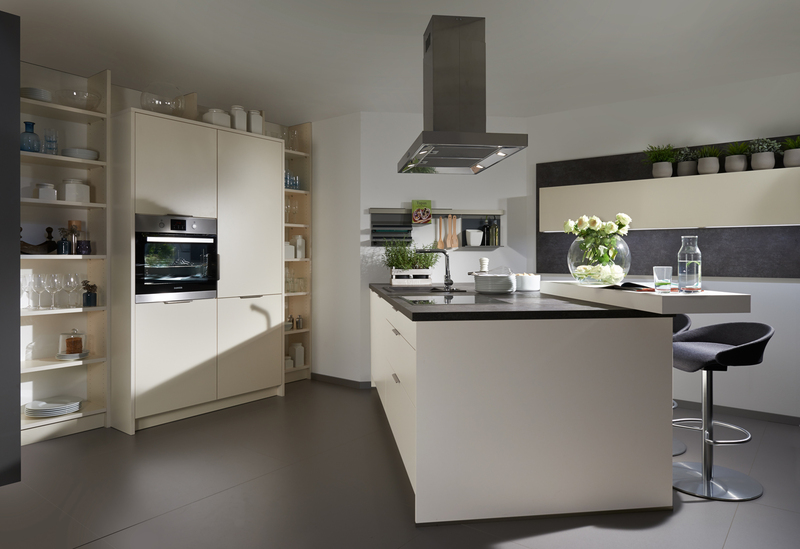 With the right cabinet you can utilise every corner of your kitchen. 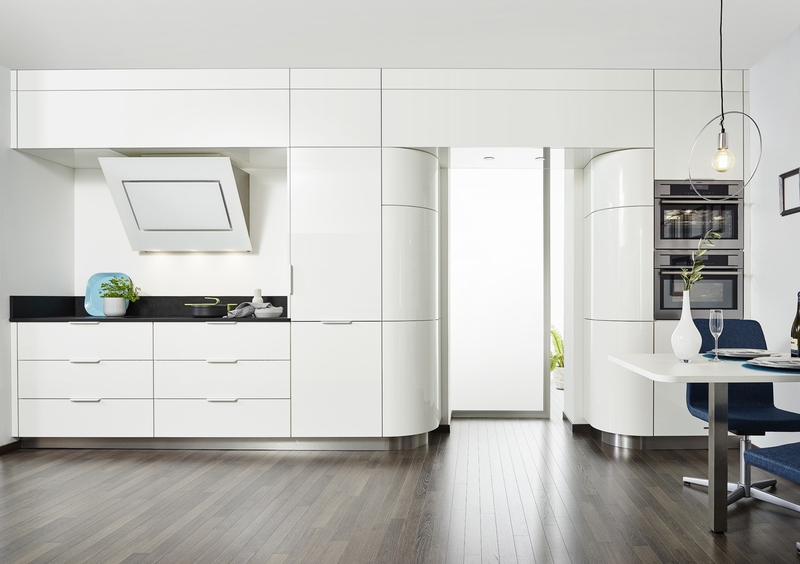 Our cabinets are available in standard depths of 330mm, 462mm, 562mm and 722mm.